This one is a double-whammy; A penguin webcomic and a Kickstarter project! 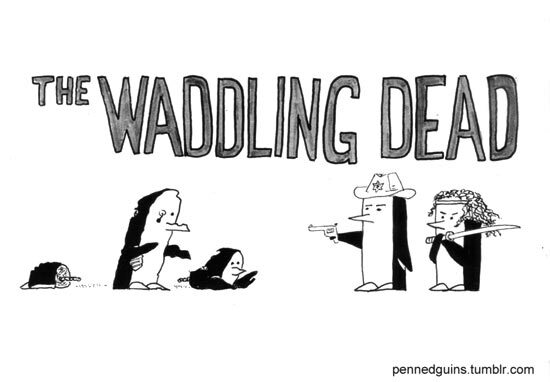 This is The Penned Guin, a comic book strip created by Alan Henderson. The webcomic has been running since 2013 at pennedguins.tumblr.com and has garnered a cult following. And for a reason; These penguins are master of puns and tackle everything from mundane aspects of life to music and pop-culture with tongue firmly in cheek. The The Penned Guin is filled with what I guess you could describe as 'dry' humour – the kind that doesn't necessarily make you laugh, but always leaves you smiling / grinning for quite a while. It's just the kind humour that happens to be to my liking – and when it also stars penguins, we've entered into a must-read territory. Seriously, they've bound to brighten your day! This here Treasury Edition collects the first 500 strips – previously also released as four smaller albums. 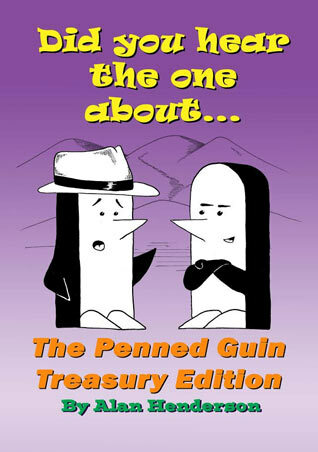 If you want / need some printed Penned Guin in your life – and who doesn't – this Treasury Edition is a perfect place to start. As I mentioned, its creation was Kickstarter-funded, so naturally we backers got some great penguin goodness – from original strip artwork to sets of brilliant postcards. Seriously, I need to frame these! 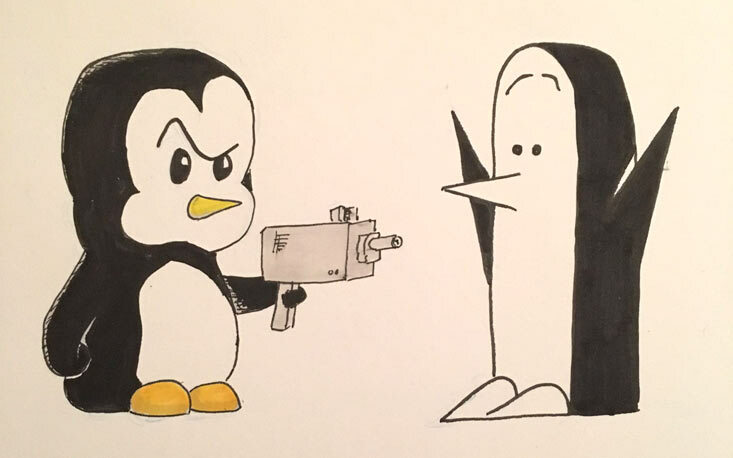 Though this was a Kickstarter project, you can purchase the book from the Penned Guin web shop. And after you've done that, remember to book mark the tumblr page for your regular dosage of penguin puns! Also, this is a perfect moment to remind you that April 25th is the World Penguin Day! And as it happens to also be a Tuesday, we will have a very special Weekly Penguin entry!